At Sappah and Son Guide Service we believe in delivering a fun and productive fishing experience. We can accommodate all skill levels from the accomplished angler to the novice or child. Terry is lifelong Alaskan resident and has fished the Kenai River for 50 years. He is committed to making your Alaska fishing trip a memorable one! We provide guided fishing for all salmon species. Kenai River rainbow trout and dolly varden are also favored targets of many anglers. Interested in other local fishing opportunities? 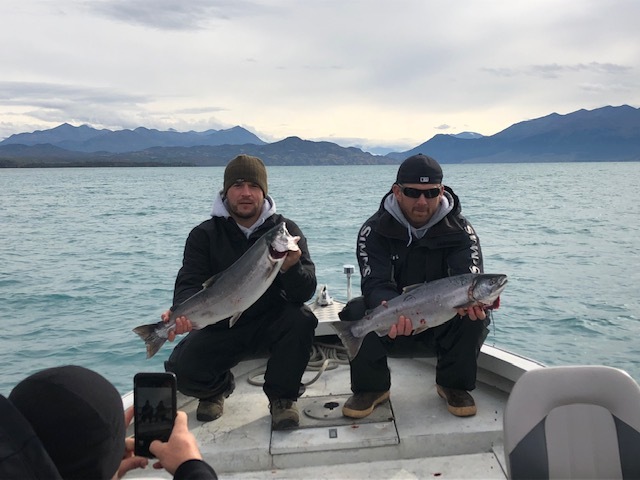 We can also set up trips on Kasilof river or Cook inlet with one of our trusted associates to try for salt water species such as halibut and what ever is in season at the time of your excursion. 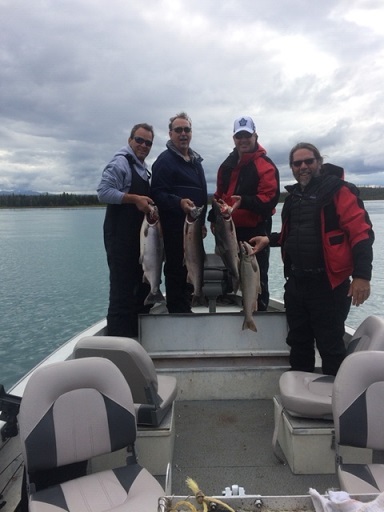 In June and July, for king salmon, we will fish the lower Kenai river area. From August to the end of the season (mid September to October), we fish the mid-section of the Kenai River below Skilak lake away from the crowds. This area is part of a wildlife refuge and offers great fishing for rainbow trout and silver salmon fishing. It also offers a good chance to view some wildlife. Our staff will always assist you with processing your catch on site, or you may choose to take your catch to one of our fine local processors. We have two nice 480 sq. ft dry cabins available for our clients that each sleep up to 5 people very comfortably. (There is shower and bathroom house that sits seperately between the two cabins) the cabins include include coffee pot, microwave, fridge ,water coolers with hot or cold water and gas grills outfront plus satellite TV for when you just want to take it easy and rest your arm for awhile! 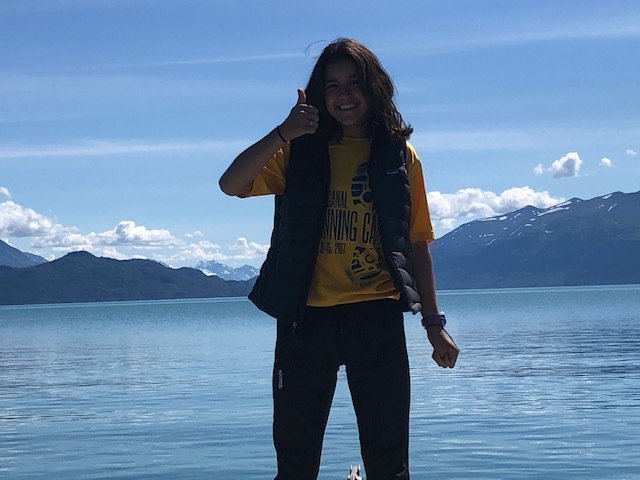 We are located within 30 minutes of 5 different rivers including the Kenai (1/4 mile), Moose (1 mile), Swanson (17 miles), Kasilof (25 miles), and the Russian (30miles). These waterways all provide some very productive bank fishing, depending on the time of year and species you are targeting. We truly enjoy meeting people from around the globe and seeing them take advantage of our many great Alaska-fishing opportunities, feel free to contact us with any questions you may have about planning your Alaskan vacation and we will always do our best to be of assistance. Pick up the phone and give us a call 1-800-434-0699 or shoot us an email. Take time to enjoy the rest of our site and read all the information we have compiled to assist you! For us, the only thing better than catching a big fish is helping someone else to land a fish of their dreams. We hope to see hear from you soon! You can call Toll Free 1-800-434-0699 anytime!